Finlaystone has a variety of venues for hire to suit most needs and budgets. We can host the smartest wedding or corporate event in the Mansion House or on the main lawn but also offer a range of venues for different needs from modern office space to rustic buildings for other uses. Let us know what you want and we’ll see how we can help you. 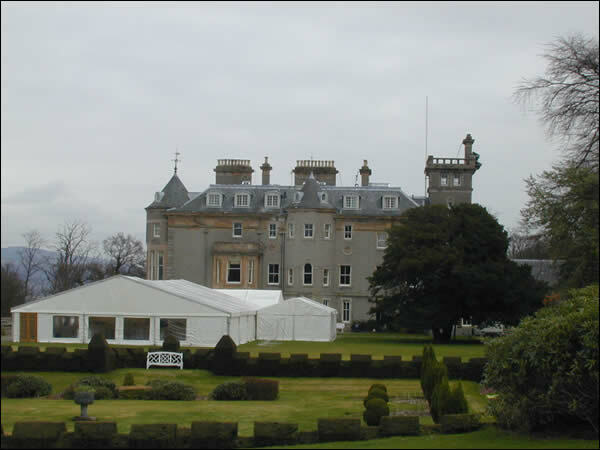 Corporate Family Days and Weddings on the Finlaystone House Lawn. Birds eye view of Finlaystone House and the surrounding woodlands. Finlaystone Mansion House & front lawn is available to hire for Wedding ceremonies, Wedding Photographs and Corporate functions and meetings and Corporate family days. The Old Laundry Building can be hired for social gathering for groups and clubs, Parties, workshops and training days. School Room can be hired for teaching, workshops, training days and Craft Stalls. The Woodland and Gardens can be a great stage for photography and filming. We have Residential properties for long & short term . 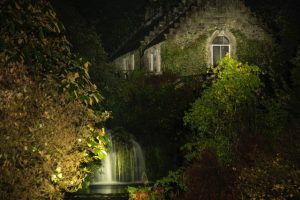 The Old Laundry Building at night by student John Murray.